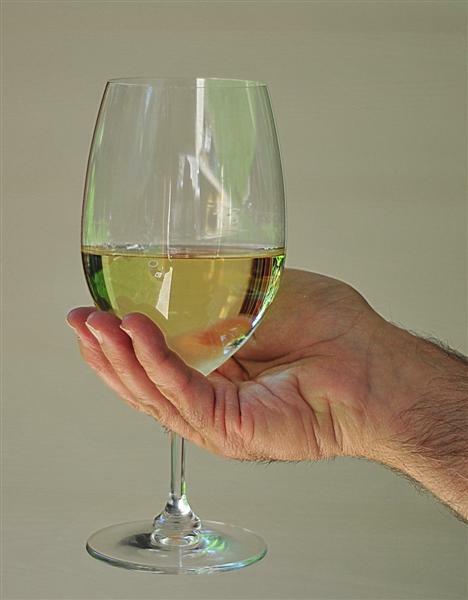 How to Hold a Wine Glass. . . This week I wanted to respectfully and delicately broach a subject that may, on the surface, seem a bit trite. But, like many things in life, there is an actual “proper” way of doing everything. I believe that most everyone would like to demonstrate knowledge and experience in all matters and appear intelligent, cognizant, sophisticated and socially appropriate. Then again, some of the people I come in contact with don’t seem to care at all. Forgetting for a moment those heathen types who don’t care and are oblivious and to let all those who are interested know, there is a recognized and proper way to hold a wine glass. Generally there seems to be a misunderstanding regarding this situation. I have seen many different variations of this subject in restaurants, clubs, bars and at private functions (and, at varying states of inebriation!). In the course of this post, I would like to explain the reasons and benefits for holding a wine glass in a certain prescribed manner. Not only is this a matter of proper etiquette but, it also demonstrates respect for others, the winemaker’s art and the wine being consumed. Also, it will insure the maximum pleasurable experience for the consumer. Please understand, there are many reasons why wine is normally served in stemware of various types and sizes (see Riedel wine glasses for additional information). 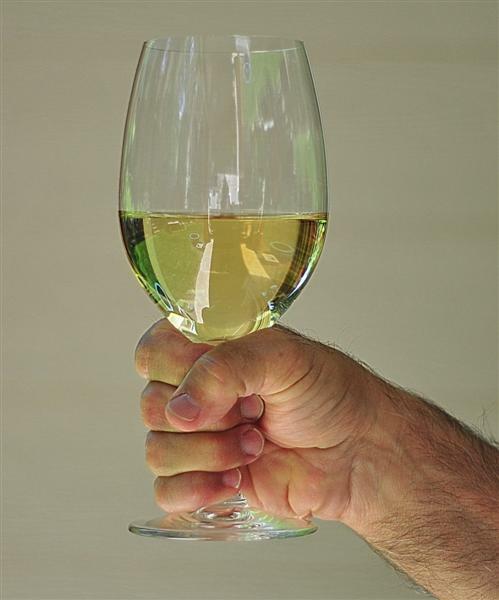 But, before explaining the rational behind how to hold a glass – this is how it is done. 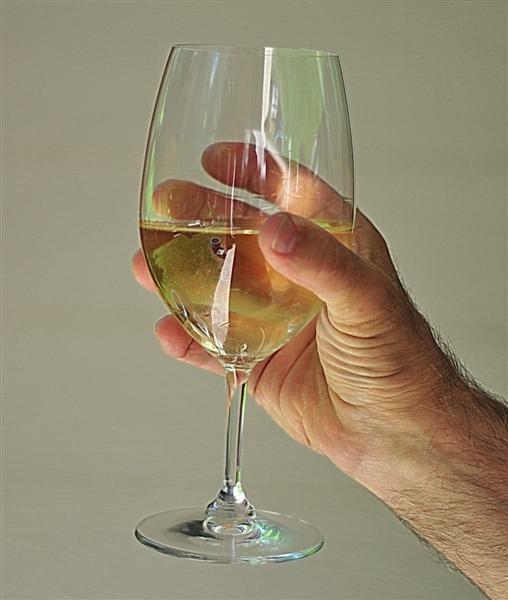 Hold the stem of the glass between your index finger and thumb and / or your thumb, index finger and middle finger. Like this. . .
An acceptable variation would allow for the “pinkie” to support and balance the glass under the base. This is especially important with large-sized wine glasses that may feel a bit cumbersome and difficult to balance. Like this. 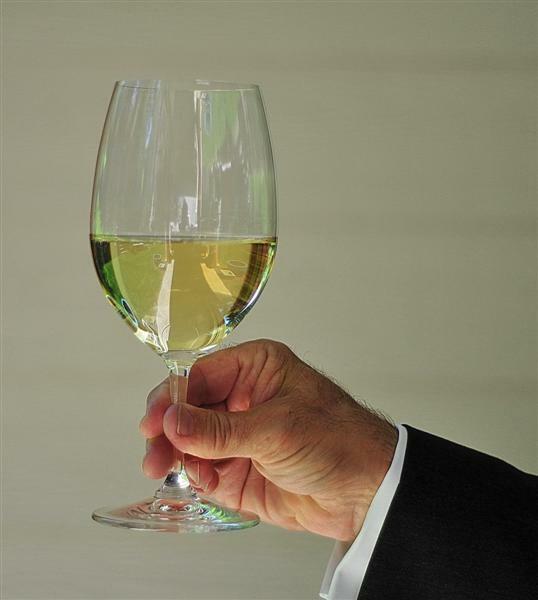 . .
With a sophisticated, debonair and “wine aficionado” flair, one would pinch the base of the glass with the thumb and index finger. Like this. . .
Never allow for the fingers or palm of the hand to come in contact with the bowl of the glass. Like this. . .
Do not cradle the glass in your hand like a brandy snifter. Like this. . .
Don’t grab the entire stem of the glass with your fist. Never like this. . . Looking back at these photos taken by my wife, I can see why I was never selected as a hand model! Short, pudgy fingers, fat little hands and unattractive fingernails – even a top grade manicure would not have helped! Visibility ~ with wine, there is a definite visual appreciation of the clarity, brilliance and the appealing color variations of the wine. 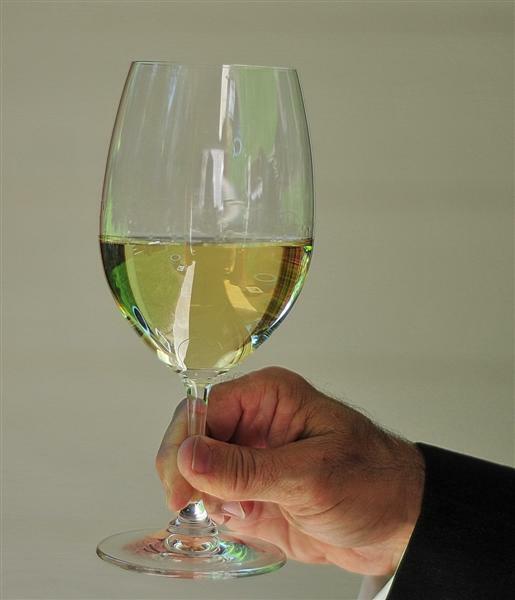 If the bowl of the glass is smudged, smeared, imprinted and encrusted with whatever you had on your hands before grabbing the glass the visual aspects of the wine will be marred and not at all attractive. Think about fried chicken, no matter how you wipe your hands there will be some unsightly residue remaining that would be transferred to the glass. If the glass is not clean and clear of foreign material, the beautiful color, the subtle color variation, the clarity and brilliance of the wine cannot be truly appreciated. Aroma ~ depending on what you had on your hands and how much of it is transferred to the glass, (with some people, I wont go there) a definite odor may be present that can conflict with the delicate aroma and bouquet of the wine. Temperature ~ please be aware and understand, the temperature of the wine can be altered with the warmth of your hot little hands. If the temperature is not at optimum condition, a less than pleasurable experience will be registered. Temperature is more critical with white wines and rose that are intended to be consumed at cooler temperatures. The heat from your hands can take the chill off of the wines in a very short time frame. Etiquette ~ while in public eye (the best habits are practiced in the privacy of one’s home), it is important to adhere to a few social graces. In this day and age, society seems to have adopted a more “relaxed” attitude and / or a complete and utter disregard for proper etiquette. I believe that compliance with a few old (and now, apparently somewhat antiquated) social graces demonstrates knowledge, intelligence, self-respect and a consideration for others. You wouldn’t chew with your mouth open, smack your lips, slurp your wine or wipe your mouth on the tablecloth so, why hold the glass improperly? 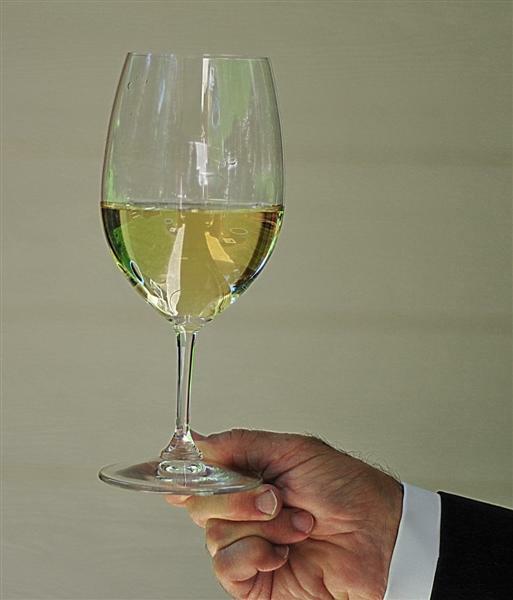 Respect ~ holding the wine glass properly demonstrates respect and consideration for the host, the restaurant establishment, for others in your general vicinity, the winemaker’s art and ultimately respect for the wine being served and consumed. An unsightly glass has the capacity to distract from the wine and adversely affect the entire dining party. 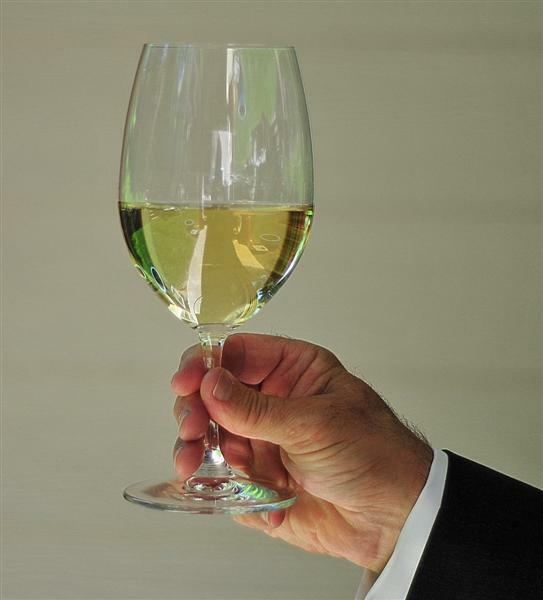 For maximum appreciation for the laborious task of winemaking and to insure a quality oriented appreciation for the wine, please consider holding the glass in the proper manner. For those of you who that are aware of this situation, I beg your indulgence. For everyone else; you may now consume wine while in public with reckless abandon and with the utmost confidence that you are demonstrating a superior knowledge, a special understanding and an expertise on the subject. By-the-way, I am aware of new and fashionable wine glasses that do not have a stem. I for one am not a proponent of this type of glassware for all of the reasons outlined above. I would avoid them like the plague! This blog was honestly and sincerely intended to be helpful. Thank you for allowing me to share this seemingly “trite” but, important information with you. You are too kind – thank you for the comment. i trust that you found the post informative also.